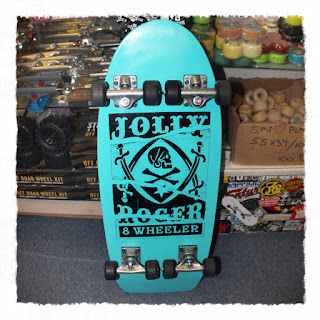 Jolly Roger Skateboards: Feeling Blue? 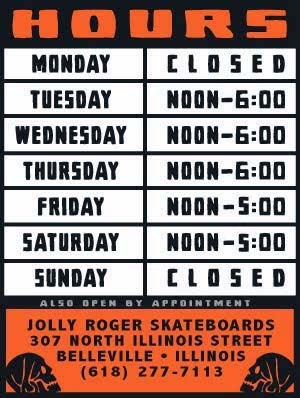 You Need a Jolly Roger 8 Wheeler! Feeling Blue? You Need a Jolly Roger 8 Wheeler! This will be the last available 8 Wheeler complete until the next run of decks. If you want to grab one you can stop in the shop and pick it up in person or you can order from our ONLINE STORE.